Jon Anderson was named Executive Vice President and Publisher, Simon & Schuster Children’s Publishing Division in January 2009. In his position, Mr. Anderson is responsible for the overall operations for the Children’s Division including editorial and production, publicity, marketing and licensing activities. He oversees a publishing portfolio that serves every category of the children’s publishing business, and while maintaining an extensive backlist that includes numerous Caldecott, Newbery, and National Book Award winners, continues to publish acclaimed and bestselling books for children of all ages. Shane Armstrong has been Executive Vice President of Scholastic Corporation since June 2010 serves as its President of International Growth Markets since June 2010. Mr. Armstrong is responsible for overseeing all New York personnel in Scholastic’s International group as well as operations for Scholastic Asia, Scholastic Export and Scholastic Australia/New Zealand. Jess M. Brallier is a publisher, author, and web publisher. Brallier has authored or co-authored 31 books, including Lawyers and Other Reptiles. He is currently SVP and Publisher of Family Education Network (a part of Pearson), an online publisher for: children, parents, teachers, and reference readers. Dr. Alison Bryant founded PlayScience – a research, consulting, and innovation firm – to break down the walls between industry innovators, academics, and consumers. She leverages her academic research expertise, deep understanding of consumers, entrenched industry knowledge, and strategic vision to partner with organizations looking to create, develop, and launch new products, ideas, and perspectives. She has spent over a dozen years helping clients, colleagues, and students navigate the ever-changing media landscape and understand the lives and lifestyles of youth and families. Michael Cader is the creator of Publishers Lunch, the largest-circulation book publishing industry publication in the world, and its companion website PublishersMarketplace.com. For 15 years he created and produced over 300 books through his book packaging company, Cader Books. Tara Catogge joined ReaderLink (formerly Levy Home Entertainment) in 2006 to head up all buying and inventory management functions. Prior to joining Levy, she was the Executive Vice President, Sales and Merchandising for Advanced Marketing Services (AMS), working with the wholesale clubs. Prior to joining AMS, she was employed by Harcourt Brace, Inc. as the International Sales Director for the Academic Press book division. Tara holds an MBA from Kellogg School of Management, Northwestern University. Daniel Ehrenhaft is the Editorial Director at Soho Teen, Soho Press’s new YA imprint, which launched in January 2013. He has worked in YA since 1993—both as an Edgar-winning and bestselling author (for The Wessex Papers and the Countdown series, respectively), and as editor and packager, helping to create the Gossip Girl and Peaches series, among others. Carol Fitzgerald is co-Founder and President of The Book Report Network (TBRN) — a group of Internet sites about books and authors that have become the gathering places for a large and devoted community of booklovers since 1996. Deborah A. Forte is Executive Vice President of Scholastic Inc. and President of Scholastic Media is an innovator and an award winning producer, developer, and designer of multi-platform content that meets the needs of children and families – including software, mobile applications, television, film and digital experiences based on books. Ms. Forte also leads the team that created Storia®, Scholastic’s new eReading platform and eBooks system. Ashleigh Gardner is Head of Content for Wattpad, a global social platform for authors and readers to connect and share stories. Throughout her career, she’s been working at the intersection of literature and technology with past experience as Director of Content Management at Kobo and Manager of Digital Development for Dundurn Press. As Founder and CEO, Marjan is the product owner and also responsible for the day-to-day operations of BiblioNasium. She has direct industry experience as an early member of two prior tech startups and knows what it takes to build a company from the ground up. With a multidisciplinary degree that covers management and technology studies from the University of Pennsylvania, she also has a proven track record in building large scale and successful web properties. 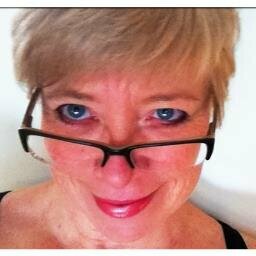 Jo Henry started in publishing at Victor Gollancz, becoming Sales Director in 1989 and, after Cassell’s purchase of Gollancz, the Group’s International Trade Sales Director. She left Cassell in 1993 to join the HEA’s Publishing Division as Head of Sales & Marketing, before joining Book Marketing Ltd. in 1995. Following the acquisition of BML by Publishing News, she became Managing Director of the PN Group in 2007. BML was acquired by Bowker in 2010, and in March 2012 was combined with RR Bowker’s consumer research business in the US to become Bowker Market Research. Eric Huang is Development Director at Made in Me, an award winning Shoreditch digital agency specializing in children’s entertainment and brand development. Starting out at Disney Publishing in LA, Eric moved to Melbourne, Australia, as Managing Editor at Penguin Australia. He then joined Aussie toy company Funtastic’s new book division as Publisher, after which he re-located to the UK as Head of Licensing at Parragon. Anna Jarzab is the author of All Unquiet Things, The Opposite of Hallelujah and Tandem, the first book the Many-Worlds Trilogy. She lives in New York City and works in children’s book publishing. Dr. Michael H. Levine is the Founding Director of the Joan Ganz Cooney Center, an independent non-profit organization based at Sesame Workshop. The center conducts research, and builds multi-sector partnerships to scale innovation and investment in promising educational media technologies for children. Cindy Loh is Publishing Director of Bloomsbury Children’s Books and Walker Books for Young Readers in the US. Previously she was Editorial Director of Sterling Children’s Books where she launched Splinter, their YA fiction imprint, with four New York Times bestsellers. Prior to Sterling, she was VP, Editorial, for Scholastic and has held management roles in the children’s divisions of Simon & Schuster, HarperCollins, and Random House. Having grown up largely in the back of a VW van, Stacey’s intuitive understanding of how different people think and live was ingrained at an early age. A human developmental expert by training, Stacey’s specialty is in uncovering what motivates people to change, a skill that she has leveraged in countless studies on fast-moving targets, like fashionistas, culture vultures, media junkies, techies, and trend-conscious youth. Her approach is energetic, honest, and thorough. Kristen McLean is the founder and CEO of Bookigee.com, an innovative early-stage tech venture in the publishing industry. Before founding Bookigee, Kristen was the Executive Director of the Association of Booksellers for Children (ABC), a non-profit trade association that networks the children’s book industry. SARAH MLYNOWSKI is the author of nineteen books for tweens, teens and adults, including the upcoming DON’T EVEN THINK ABOUT IT from Random House, theWhatever After series from Scholastic, TEN THINGS WE DID (AND PROBABLY SHOULDN’T HAVE) from HarperCollins, SEE JANE WRITE: A GIRL’S GUIDE TO WRITING CHICK LIT from Quirk and MILKRUN from Harlequin. Her books have more than 3 million copies in print, and have been translated into twenty-seven languages and optioned to Hollywood. Sarah started her career in the marketing department of Harlequin, and has embraced every sort of social media tool – from her own website to Instagram, Wattpad, Facebook, Twitter, Pinterest, Goodreads, Google Plus, and even, once upon a time, MySpace. You can visit her at http://www.sarahm.com or find her at @SarahMlynowski. Jonathan Nowell is President of Nielsen Book, part of The Nielsen Company. Nielsen Book operates in the US, UK, and other several countries and includes the ISBN Agency for UK & Ireland, the SAN and ISTC Agencies, BookData, BookNet and BookScan product groups. Innovative book entrepreneur Dominique Raccah is the founder of Sourcebooks, where she serves as publisher and CEO. She is fascinated by the transformation of the book and wonders whether digital books might well be changing everything. Lorraine Shanley is a principal of Market Partners International, a consulting firm that specializes in traditional and digital publishing in the US and internationally. Her expertise includes market research, development and planning; multi-channel marketing, distribution and fulfillment, and executive search. Mike Shatzkin is a widely-acknowledged thought leader about digital change in the book publishing industry. Mike has been actively involved in trade book publishing since his first job as a sales clerk in the brand new paperback department of Brentano’s Bookstore on Fifth Avenue in 1962. In his nearly 50 years in publishing, he has worked in all aspects of the industry: writing, editing, agenting, packaging, selling, marketing, and managing production. His insights about how the industry functions and how it accommodates digital change form the basis of The Idea Logical Company’s consulting efforts. 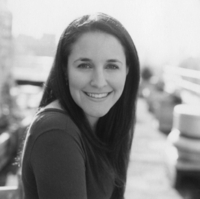 Veronica Wasserman is the Brand Director for Wimpy Kid, and resident licensing expert, at ABRAMS. She began her publishing career in 2005 at Penguin Young Readers group where she helped to develop the company’s licensing department within its Grosset and Dunlap and Price Stern Sloan imprints. In 2008, Veronica received her master’s degree in Reputation Management: Public Relations and Corporate Communication from New York University. She lives in Brooklyn. Phoebe Yeh joined Random House Children’s Books in the newly created post of v-p, publisher, Crown Books for Young Readers where she is publishing new books with a focus on middle-grade fiction and narrative nonfiction. Her Fall 14 inaugural list includes books by New York Times bestselling authors Suzy Becker, Jon Meacham, and Walter Dean Myers and newcomer Lou Anders.